Mews House For Sale in Poynton for £565,000. Commuters have the option of using Poyntons train station or the new A555 link road between the A6 and M56. Manchester Airport can be reached in a matter of minutes! 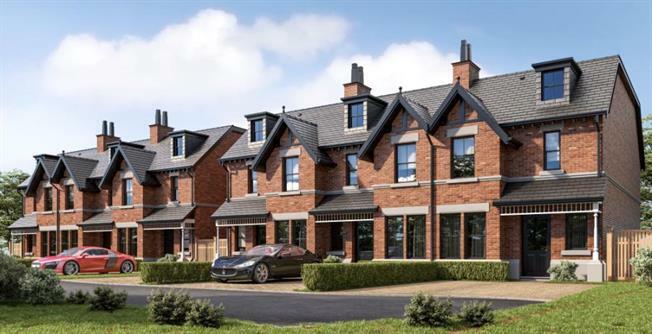 Each of the houses offers high specification family accommodation over 3 floors. Bathrooms are by Tissino, and offer sleek lines and is recognised at a global style icon. Italian design matched with sensational quality. The properties have gas central heating with the added bonus of under floor heating to the ground floor. The property will benefit from a Buildzone 10 yr warranty. Access to the properties will be provided by means of a shared entrance, leading to a private 2 car driveway. The rear gardens are of generous proportions, and will be laid to lawn with a indian paved patio.